The above comment is a little cryptic if you aren’t familiar with both Chinatown and Greek mythology. But since Robert Towne won an Oscar (Best screenplay, Original Screenplay) for writing Chinatown I thought it was worth posting since the quote “all detective movies are surrogate retellings of the Oedipus tale” was something I’d never heard anyone say, and a reminder—as Arthur Miller was fond of saying—that there is gold to draw from in the theater of ancient Greece. Cinematographer John Alonzo was born in Dallas, Texas but spent most of his early youth in Guadalajara, Mexico. His career in production started at WFAA-TV in Dallas. And before he died in 2001, he accumulated quite a resume that included doing camerawork for National Geographic Specials and The Underwater World of Jacques Cousteau, as well as being director of photography on Scarface, Star Trek Generations, Harold and Maude, Sounder, Steal Magnolias, and Norma Rae. (Two less remembered films in which he was DP on that are worth revisiting are Conrack and Cross Creek.) Alonzo won a Primetime Emmy for Outstanding Lighting Direction (Fail Safe) and an Oscar-nomination for Chinatown. But it is his work on Chinatown that is his legacy. 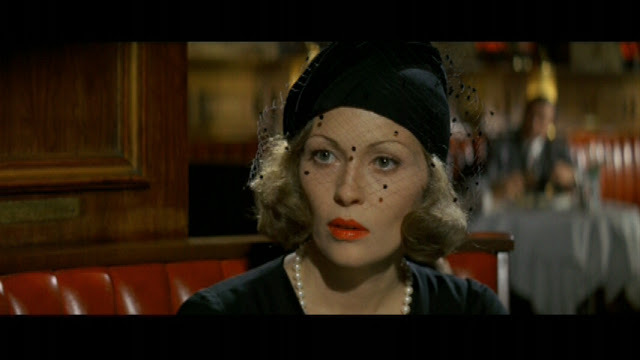 He took over shooting after the first week of production when the original DP, Stanley Cortez, had a falling out with director Roman Polanski on how to photograph Faye Dunaway. 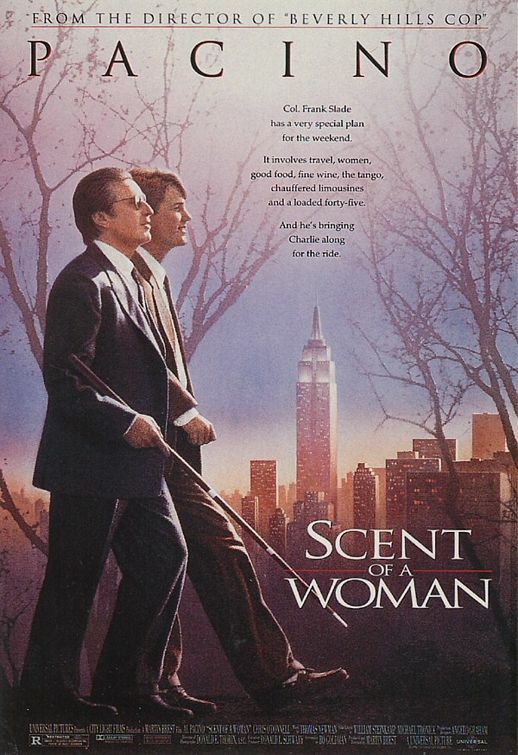 Cortez wanted to use defused lighting and long lens and Polanski wanted a harder, more realistic shot. According to Buzz magazine, before Alonzo officially replaced Cortez on the film he spent the weekend watching Polanski’s films Cul de Sac, Repulsion, Knife in the Water—with Polanski. I can’t remember if it was on one of the Chinatown commentaries where Alonzo talked about sending the large grips trucks away and using a minimalistic approach to lighting the film. He often shot with a wider angle lens that sometimes on Dunaway’s close-up shots had the camera just two and a half feet from her face. The exact opposite of traditional Hollywood movie star glamour style. In many ways Chinatown is a complex movie, but it also a great example of simplicity. A simplicity on the other side of complexity. You can learn more about Alonzo in the documentary The Man Who Shot Chinatown. P.S.—Much of Chinatown was shot with a 40mm lens, which legend has it that was the same focal lenght used to film the entire movie The Godfather (1972) . To learn more about cinematography check out the podcasts that the American Society of Cinematographers produces. P.S. This morning I will be having surgery on my nose for skin cancer. The plastic surgeon will be removing a Squamous Cell Carcinoma from almost the exactly place where J.J. Gittis (Jack Nicholson) is cut in the movie Chinatown. 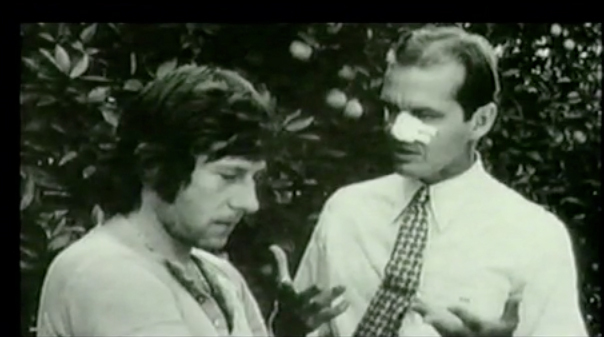 I’m guessing that I will have a bandage on my nose similar to Nicholson’s in the above photo. As a word of warning, if you have what appears to be a larger than normal zit (perhaps reddish or pink) anywhere on your body, it would be wise to talk to your doctor and see if he or she thinks you should have a biopsy done. I was fortunate that mine was one my nose, because that’s a hard area to miss. And one of the benefits to having this procedure done in Iowa is the doctor is a graduate of the Mayo Clinic Grad School located just about an hour and a half away in Rochester, Minnesota.